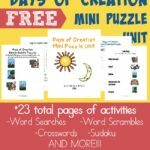 Today is our last day in the 30 Days of Bible series!! 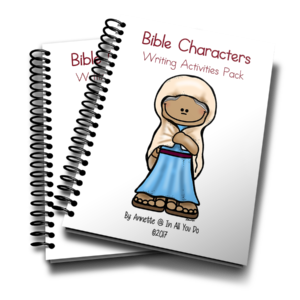 I have two printables for you to finish out our Bible Characters sets. 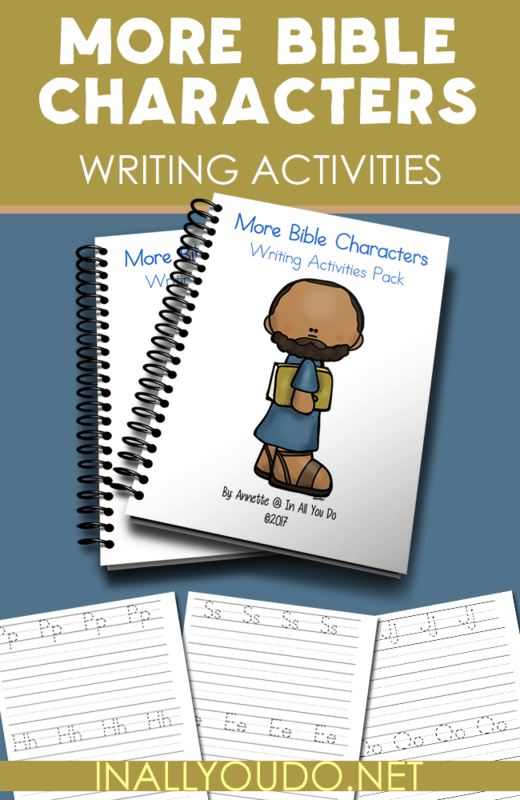 I have both the Bible Characters & More Bible Characters Writing Activities pack. 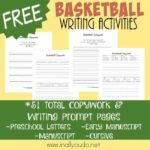 I am so pleased with how these packs turned out. 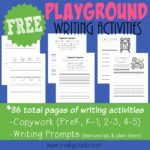 I love that preschoolers can work on letters that spell the names of these characters, young elementary kids can work on spelling their names and upper elementary kids can copy verses pertaining to each character all from the same pack. 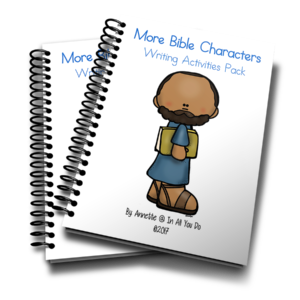 I have also included some fun writing prompts in each set to help kids think deeper about the situations some of the Bible characters created or found themselves in. 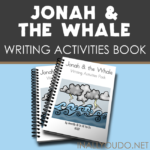 These are great for increasing their creativity as well as helping them dig deeper in to God’s Word.